How do I add a credit card to my SellerZen account? You can add a credit card to your SellerZen account by clicking on your name on the top right corner of the SellerZen home page. Simply click on your name and select "Billing" on the drop-down menu. 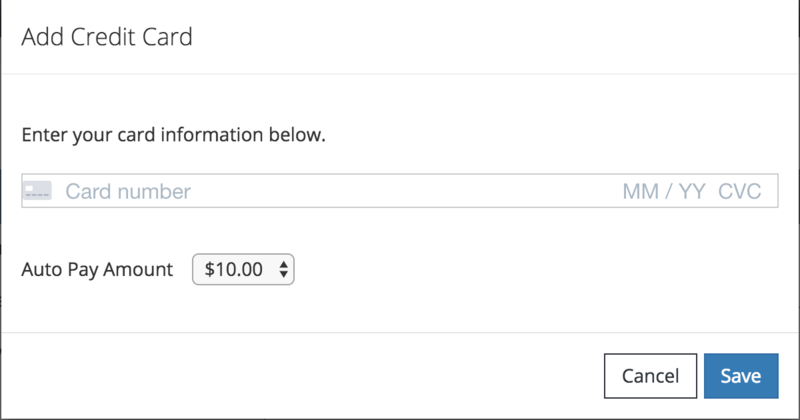 Then click on "Add credit card" under the "Payment Method" box. In the next window, you can add your credit card and select the Auto Pay amount up to $100.00. You are only billed the amount you selected once the balance in your account drops to $0.00.